I have used a few solutions on my Mac to quickly assemble short videos using images I took on a road trip, add a bit of audio, then share with family and friends. It has always seemed like something I should be able to do on the iPhone, quick and easy, but nothing built-in offered the ability. Interesting, the solution I found is free. The app is from the Blurb folks that offers a great site for uploading your images to, which they will create a print photo book for you. Their Blurb Universal app is just as easy to use. 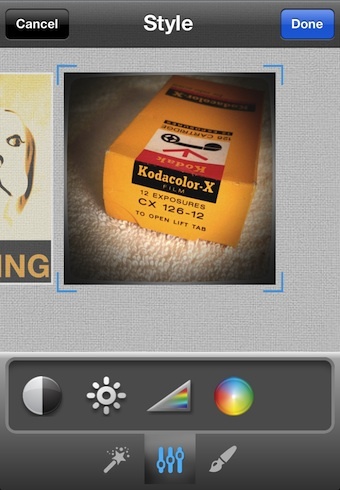 Simply launch the free app, create a new ‘project’, then start importing photos from your iPhone photo library. 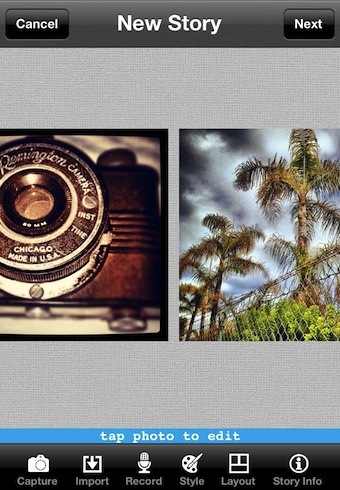 Photos can be simply placed next to each other or in specialized layout templates. After your iPhone photos have been added, you can add text, adjust the size of each and rotate to create the effect your going after. It is also possible to maximize the photos beyond a square where the image is actually wider than how Blurb imported it. There is a nice selection of transitions choices for how the end movie stitches the photos together too. Each image can actually be tuned individually. 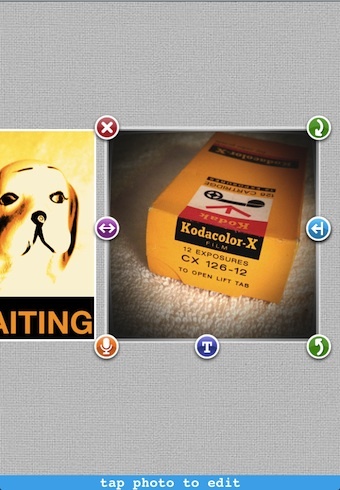 Blurb’s editing tools are powerful enough to adjust photos to better match each other. While I do a bit of clean up prior to adding to the app, actual editing with the images next to each other makes it easier to get the brightness and colors closer to each other. When you have the images flowing as you like, move over to add your audio. 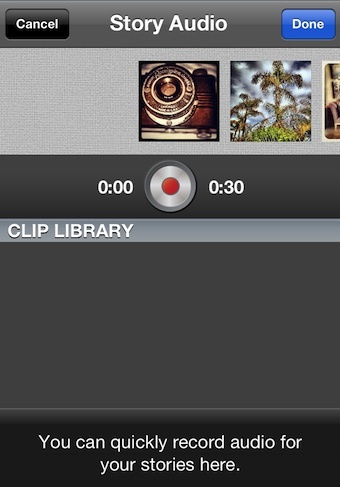 The whole set up Blurb is providing is great for recording your voice to the video of your iPhone images. When ‘done’, the completed video is saved to your iPhone’s photo library to share as you please.